Though Suu Kyi has been the de facto head of Myanmar’s civilian government since her party swept elections in 2015, she is limited in her control of the country by a constitution written by the military junta that ruled Myanmar for decades. The military is in charge of the operations in northern Rakhine, and ending them is not up to Suu Kyi. 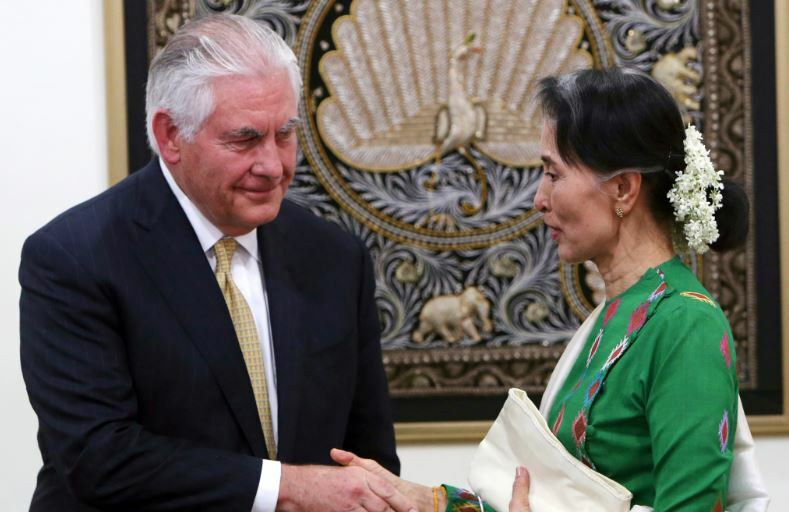 Still Suu Kyi has faced widespread criticism for not speaking out in defense of the Rohingya. At Wednesday’s news conference Suu Kyi denied she had been silent on the issue, saying she had personally commented on the situation as well as issued statements through her office.